The Office of Waste Reduction & Recycling is committed to reducing the University’s environmental footprint and promoting sustainable practices. Through continuing initiatives such as our Surplus Property program and technotrash recycling, we are making a difference on campus and in the community with our waste diversion. Check out our “What to Recycle” poster for guidelines on recycling at WFU. 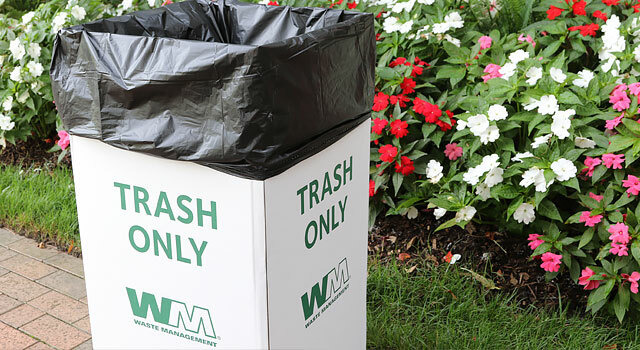 Partnering with Sustainability, we work closely with the various departments, staff, and students to create new waste reduction and recycling initiatives on campus. The Surplus Property Program that re-purposes items on campus and WFU’s Technotrash program are two examples of our active initiatives that operate at our off-campus warehouse. With the Surplus Property program, our primary goal is to maximize the reuse of property no longer needed by a department by collecting, processing and then redistributing the property to other university departments. E­waste bins are repurposed filing cabinets from campus! Feel good recycling your technotrash when you drop it off in our repurposed E­waste bins! You can find the bins in the lobby of the ZSR Library and Farrell Hall. What can you drop in the bins? **Please take ALL WFU staff and faculty large printer cartridges to the Sustainability Office (Reynolda, Room 101). E­waste bins are only for student’s personal printer ink cartridge disposal. Contact the Surplus Property Coordinator by email at winkleja@nullwfu.edu or phone at 336­.251.­8635 (cell), 336.758.­5046 (office).